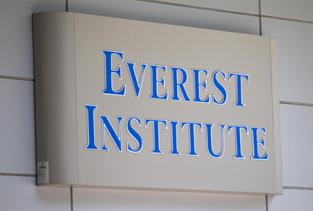 The federal government will make it easier for more students who attended the now-defunct Corinthian Colleges to get rid of their federal loans, officials announced Monday June8, as part of a new plan that could cost as much as $3.6 billion. Duncan told reporters during a phone call Monday that the department has no way of knowing how many students will come forward and ask for help. About $3.6 billion in federal loans has been given to these students since 2010, the department said. That potentially puts the taxpayer on the hook for that amount, although officials say it's unlikely that every loan will qualify for relief. Still, the amount is still likely to be significant. Officials estimate that some 40,000 borrowers at the Heald College — one of Corinthian's subsidiary — alone took on more than $540 million in loans that potentially qualify for debt relief. The final amount could climb significantly when looking across all Corinthian Schools, which include Everest and WyoTech.